Pure Day Spa is passionate about skincare. As the only day spa Durbanville clients have access to, we offer clients an extensive range of professional skin, body and beauty treatments with the added personal touch of your own towel, robe and slippers to sink into, while you unwind at our spa. To relieve stress and promote relaxation, we have various massage treatments. These treatments include conventional massages, as well as hot stone and aromatherapy massages. Perfect for unwinding the body, mind and soul. Pure Day Spa makes use of the best local and international skincare products. We provide facial treatments to rejuvenate, brighten and illuminate the skin. 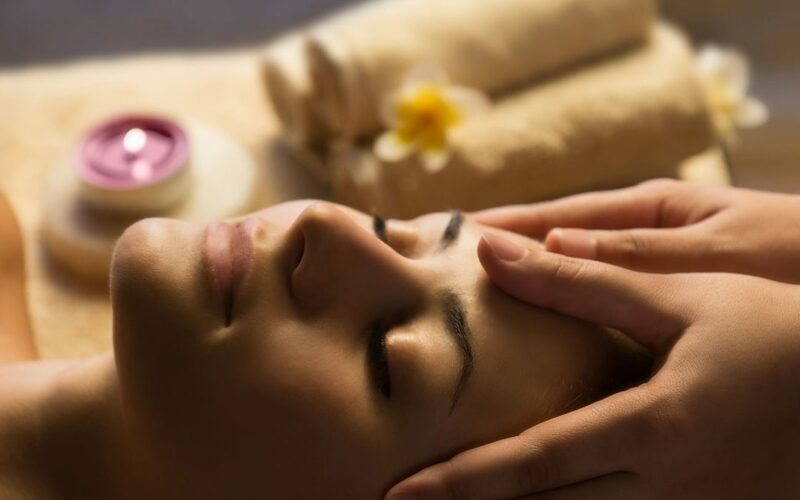 Our spa has unique anti-aging and rejuvenating facial treatments that will leave the skin feeling re-energized. Pure Day Spa ensures clients will enjoy the feeling of refreshed skin after each treatment. For complete relaxation, there are full body treatments available. We also offer spray tans, which gives the skin a radiant and golden glow for the summer months. Pure Day Spa not only takes care of clients’ skin, we also do manicures and pedicures, waxing and tints. For an all-round pampering experience, clients can choose any one of our nine treatment packages. These packages include varied combinations of massages, facials, body treatments, waxing and manicures and pedicures. We also offer spa facilities including a steam room and Jacuzzi. 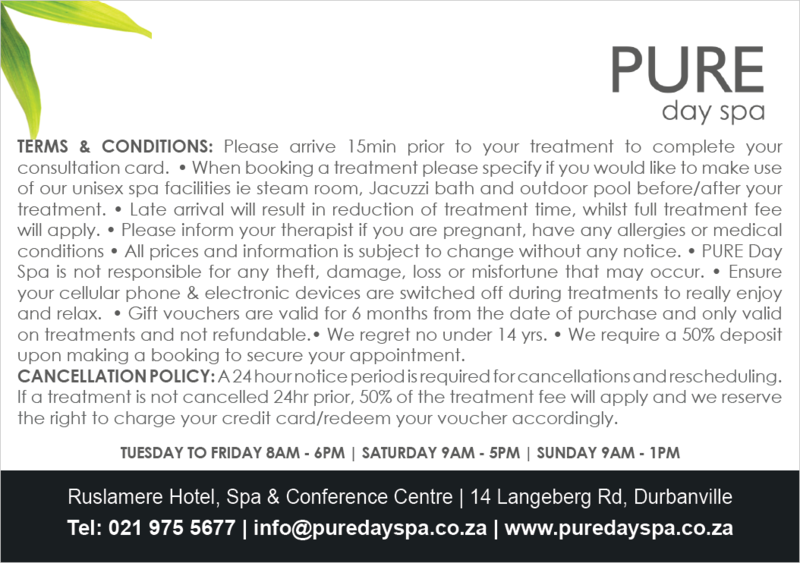 Complimentary use of these facilities accompanies the packages on offer at our spa.